I always wondered why the 2 most awesome meals like brunch and tea are mostly only available on weekends. Shouldn't we get options for these awesome meals like everyday? Well well, the folks at Pan Pacific Singapore certainly has gotten it right with their Weekday Dim Sum Lunch Buffet at Hai Tien Lo! The special weekday a la carte dim sum lunch menu is created by new Dim Sum Chef Lee Siaw Cheen and diners get to feast on an extensive selection of 35 soups, signature dishes, dim sum and desserts at $48. 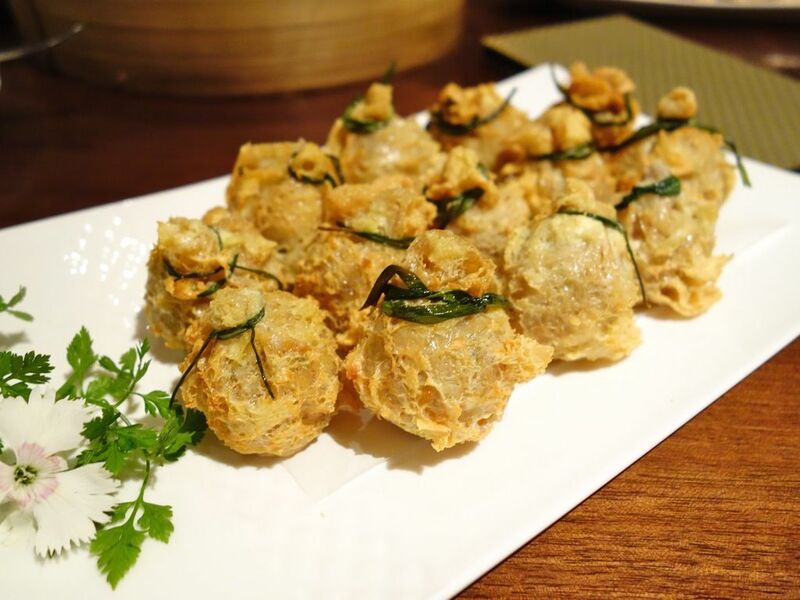 There are 4 new enhanced signature dim sum creations which include Deep-fried Yam Puff with Foie Gras, Baked Egg Tart with Imperial Swiflet’s Nest and White Fungus, Steamed Berkshire Pork “Char Siu” Buns and Crispy Carrot Cake with Hai Tien Lo’s Signature XO Sauce. These are limited to one serving each per guest. Of the lot, the Berkshire Pork “Char Siu” Buns was absolutely heavenly. Juicy and succulent meat in a delicious barbecue sauce lovingly wrapped by a fluffy sweet bun. But why only 1 serving?? :( I also liked the carrot cake which has nice chunks of radish and chinese sausage. This is best paired with the spicy XO sauce. 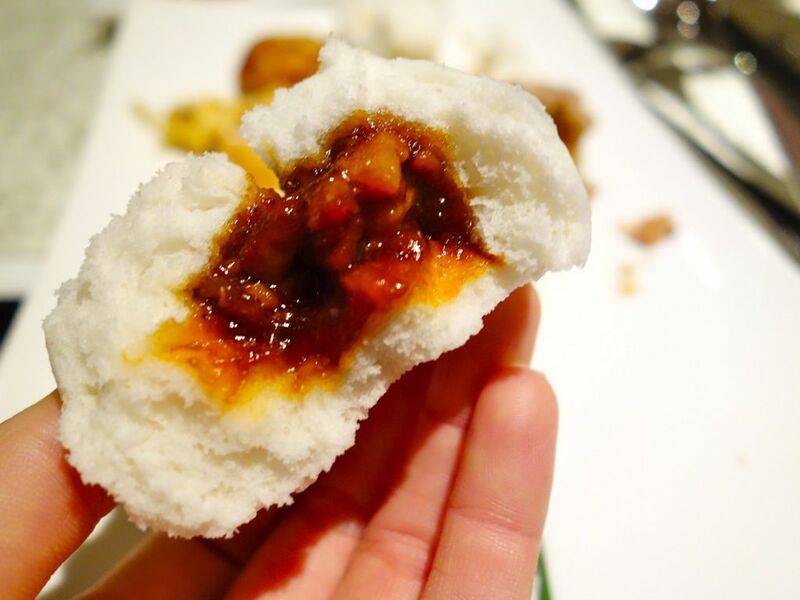 Diners also get unlimited servings of the classic dim sum. 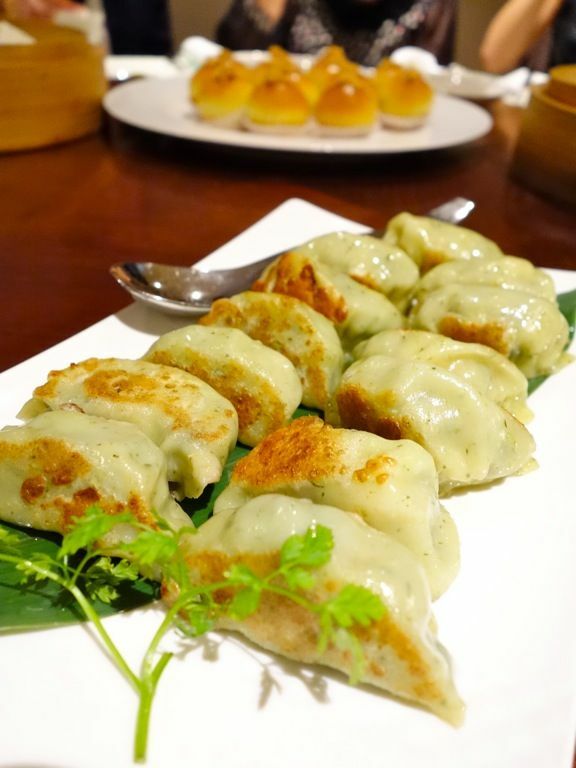 The Wok-seared Spinach Dumplings may look really green on the outside but it's also packed with juicy minced pork inside. Delicious! There's also the giant version of a xiao long bao but this is the steamed bun version, and it also has a baby abalone hidden in it. First time trying the Deep-fried Pork Dumpling “Ham Shui Gok”. It's really crispy on the outside and it remained so after 5 minutes of photo taking. It looks really plain but once you bite into it, you'd be surprised by the flavors. 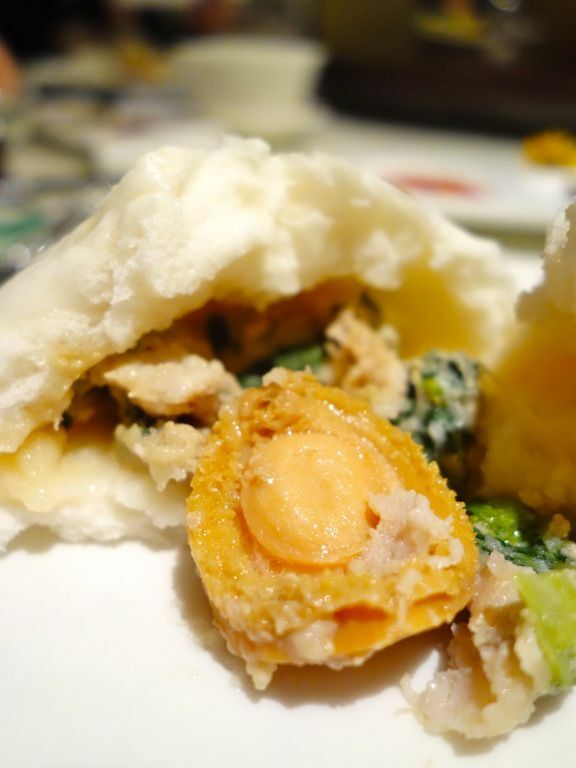 The skin has a mochi-like texture and it is filled with juicy pork with mushrooms. When eaten all at once, it tastes like a Hakka Abacus Seed 算盘子. 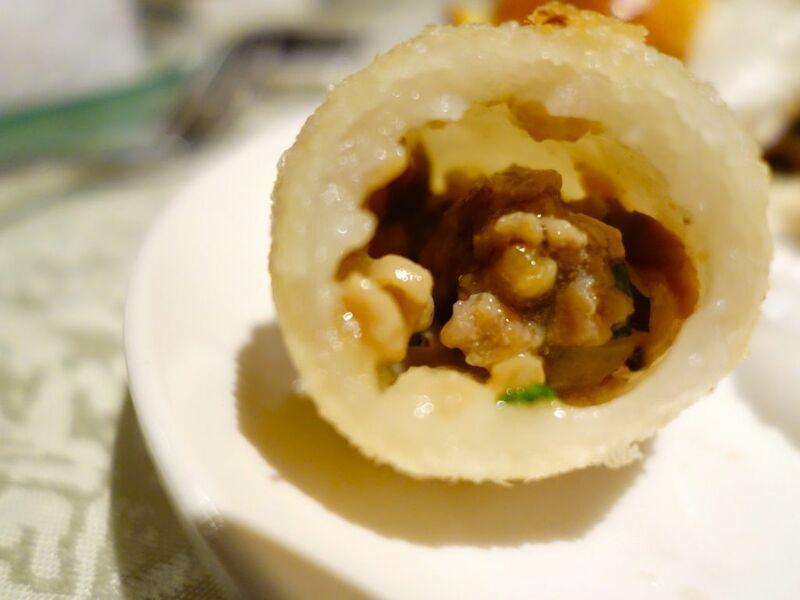 Another delicious pork filled dish but flavored with five spices and wrapped in bean gluten. This is like a baby ngoh hiang but crispier and juicier. If dimsum alone doesn't fill you up, there are also 9 Hai Tien Lo Signatures to pick from which includes hearty dishes like Szechuan Spicy chicken, Grouper fish fillet and Cantonese Sweet and Sour Spare Ribs.. Each table is limited to one serving of any three items. 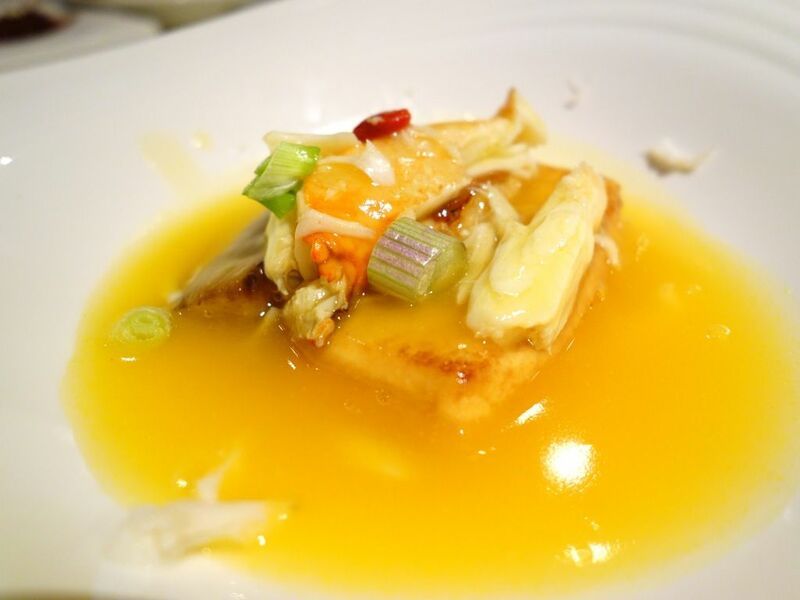 The Homemade Bean Curd with Crab Meat and Eggplant in Supreme Stock comes highly recommended. 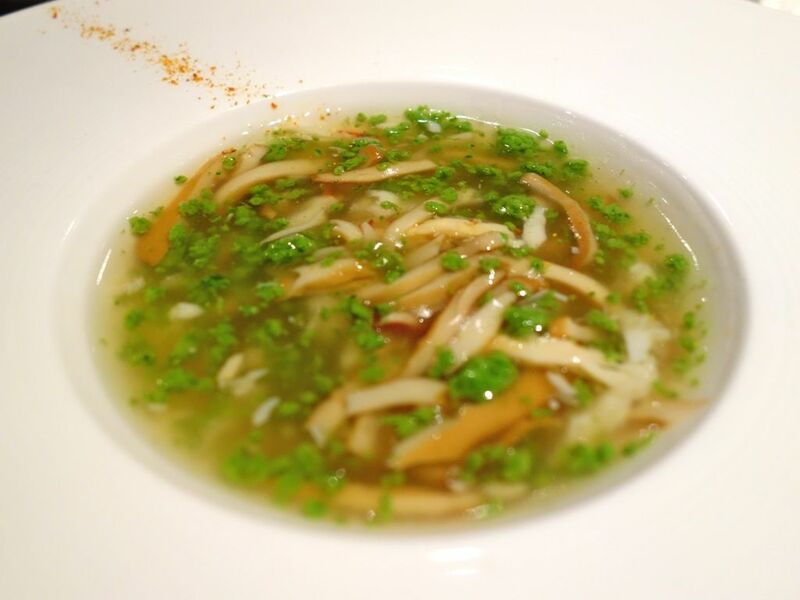 Absolutely silky and fragrant tofu in a carrot, radish and chicken supreme stock. Slurps! 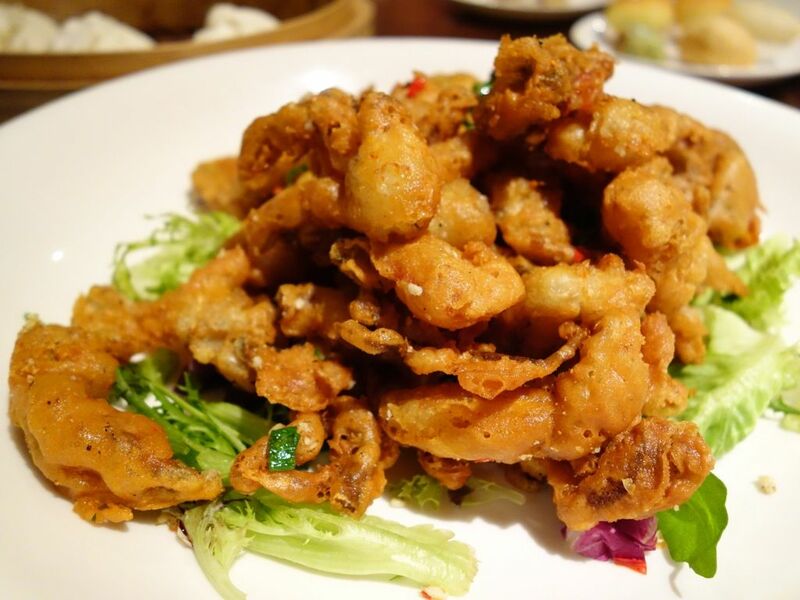 If you like something fried (who doesn't), the Deep-fried Soft Shell Crab with Pepper Sauce is rather delightful. Just work it off later really. 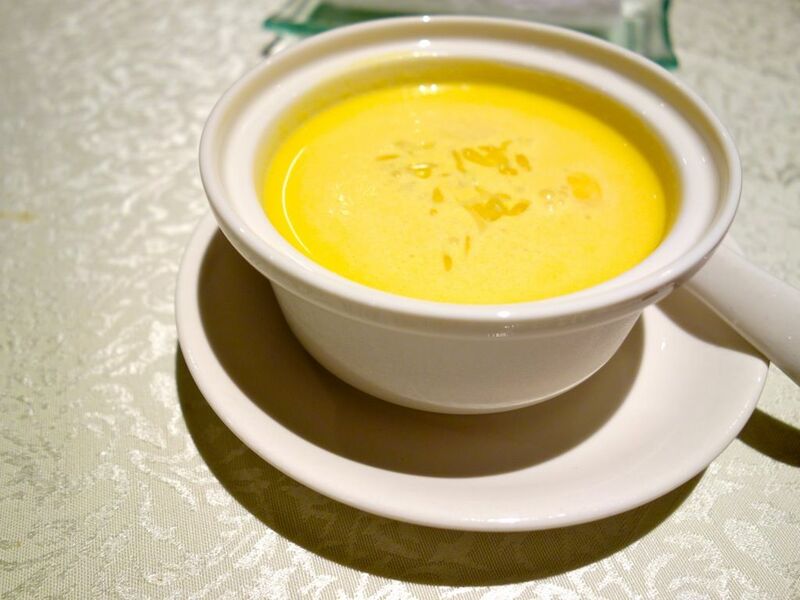 What is a Cantonese meal without soup right? Pick from either the Traditional Double-Boiled Soup or the Lobster with Shredded Abalone and Vegetables in Thick Broth (one serving of any one item per person). The little green puffs are made of vegetables. Now you can drink your greens too! 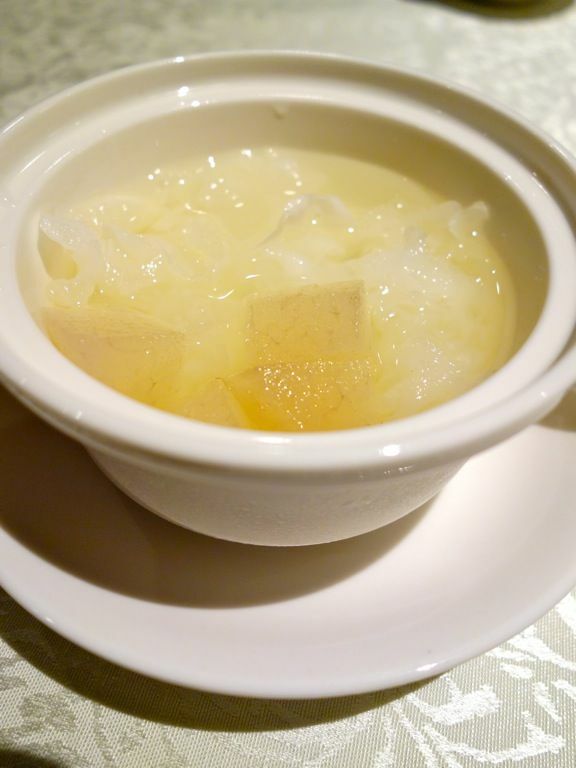 For desserts, i went with the Double-boiled Osmanthus Tea with Pear and White Fungus which is light and refreshing. I liked that it's not too sweet. The Mango Sago with Pomelo was a hot favorite. This drinks like a mango smoothie and is surprisingly light as well. 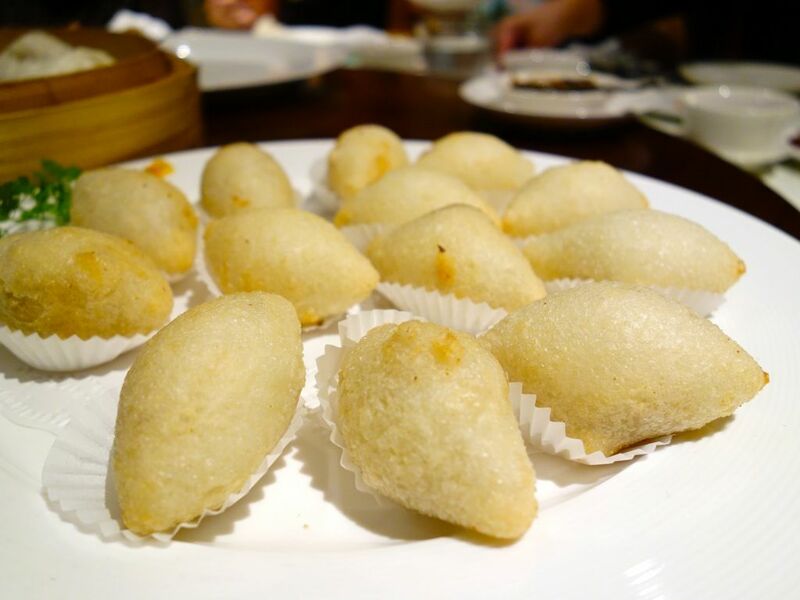 If there's more space in your dessert tummy, you could go with the Black Sesame Paste with Glutinous Rice Dumpling. 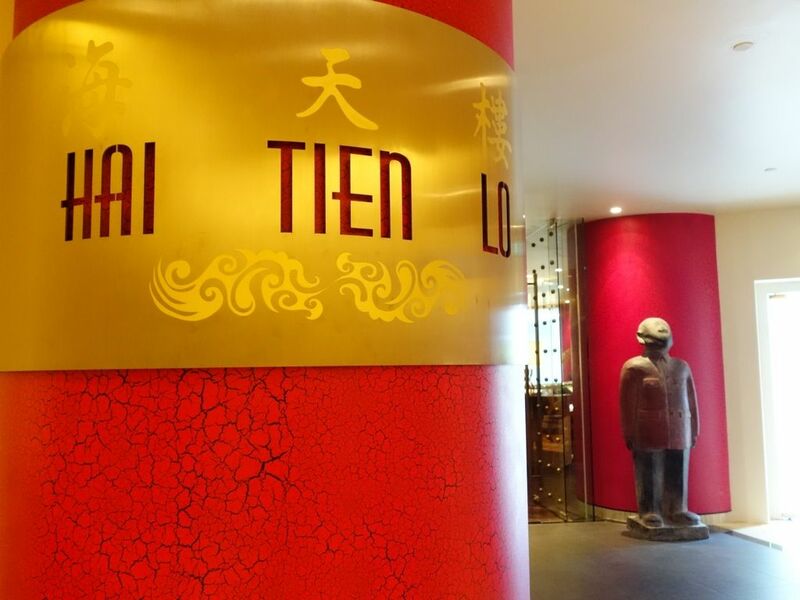 So here you go, Hai Tien Lo's Weekday Dim Sum Buffet. It's perfect for business lunches and definitely for times when you simply just need to treat yourself.